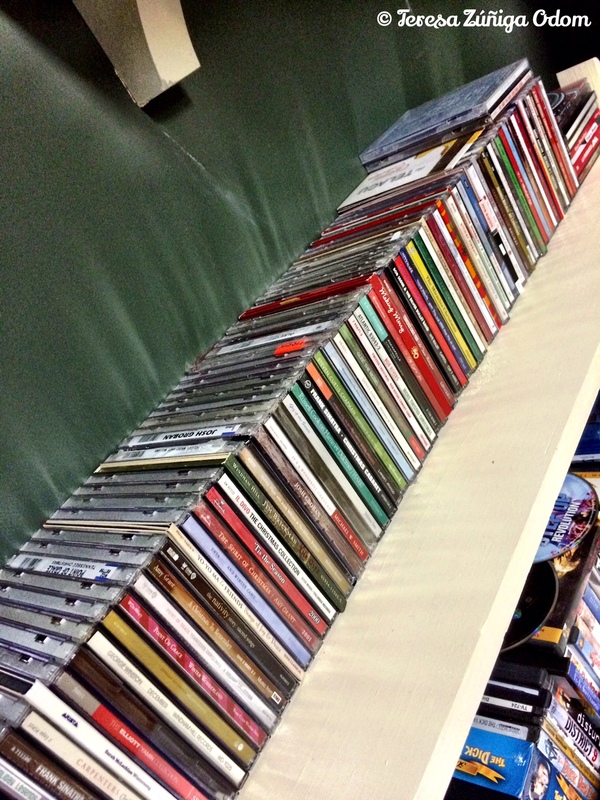 My large collection of Christmas music at home…I like adding a few new cds each year! Every year in early November, the Christmas music begins on a local radio station. Now, I love Christmas music, but listening to it in November…that’s a bit too early for me. I mean, hello? Remember Thanksgiving??!!! It does prompt me to begin researching new Christmas albums about to be released for the year. I have a rather large collection of Christmas cds and I really enjoy adding to it every year. Of course, some years are better than others. If I buy a new cd or two, they go directly into my car so I can listen on my way to work and back the month of December. This past weekend I was at Michaels and stumbled upon some Christmas cds in the midst of all the crafting items and Christmas decorations. (Honestly, trying to find Thanksgiving decor was difficult…) My sister, Kanista and I had been talking about the group Pentatonix a few months ago. She had just discovered them and went absolutely head over heels for their music. They released their last Christmas cd – That’s Christmas to Me – in 2014 and somehow I missed getting it last year. 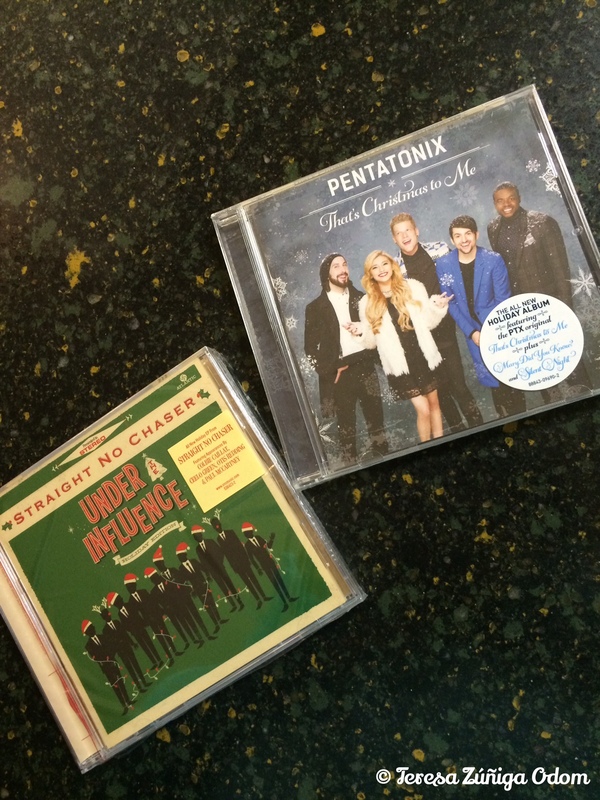 I spotted it in the array of Christmas cds at Michaels and so I bought one cd for Kanista and one for myself. On my way home, I broke my own rule about “no Christmas music before Thanksgiving” to give the cd a listen…it is FABULOUS!!! Each year the week of Thanksgiving, I go through and select a few older cds that I’ll listen to in December. There are always a handful that make the cut every year – no matter what! 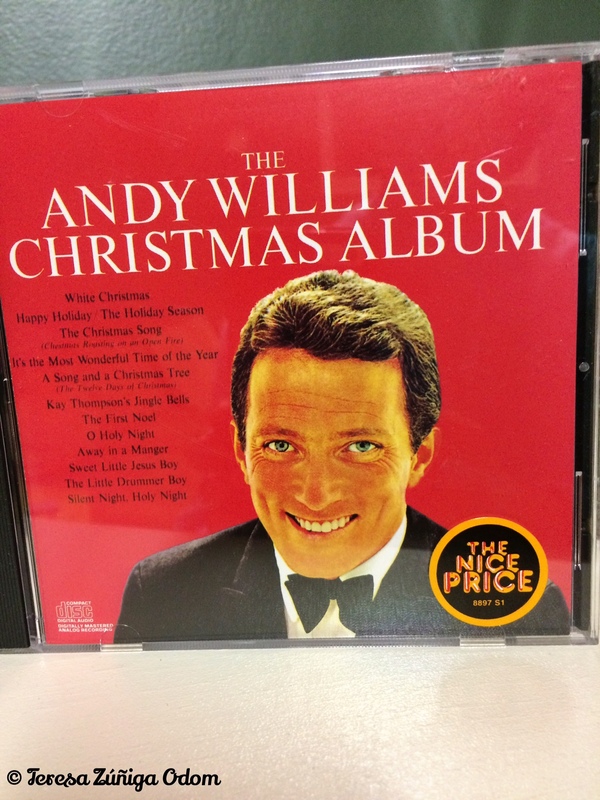 There’s The Andy Williams Christmas Album for one. This one brings me back to when we were living in Puerto Rico and my mother would play the vinyl album on our Magnavox combo tv/record player/radio unit. There are certain songs that make it Christmas for me and one of those is hearing Andy sing “It’s The Most Wonderful Time of the Year.” I also sang this song with my show choir group in high school so I’m always singing along in the choral version. I just love it…so many great memories with that song! 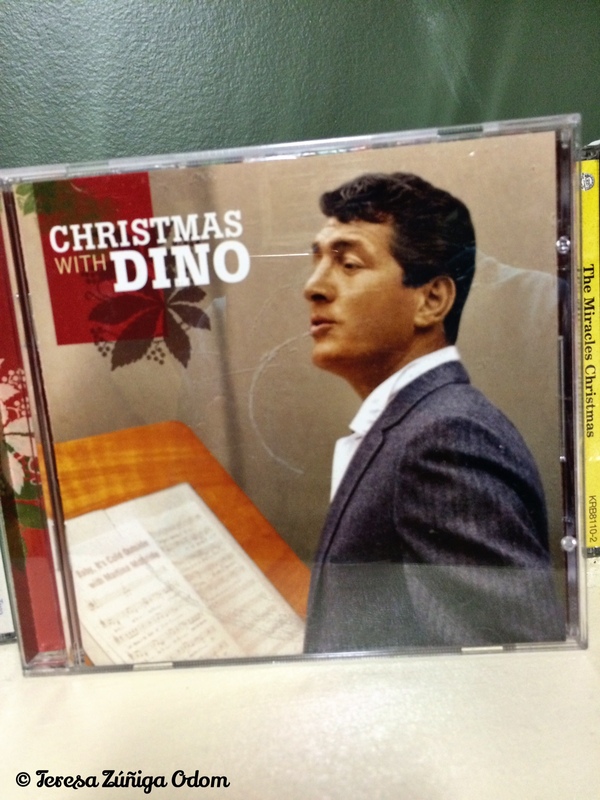 Christmas with Dino was a recent purchase but again, these song by Dean Martin are oldies but goodies! I have always LOVED Dean Martin – he reminded me of my dad in a lot of ways…at least the person I saw on TV when I was growing up. Dino makes the cut every year. I’ve grown tired of the many renditions of the song “Baby, It’s Cold Outside,” but not when Dean Martin sings it! Makes me wish I had been around during the Rat Pack Days! 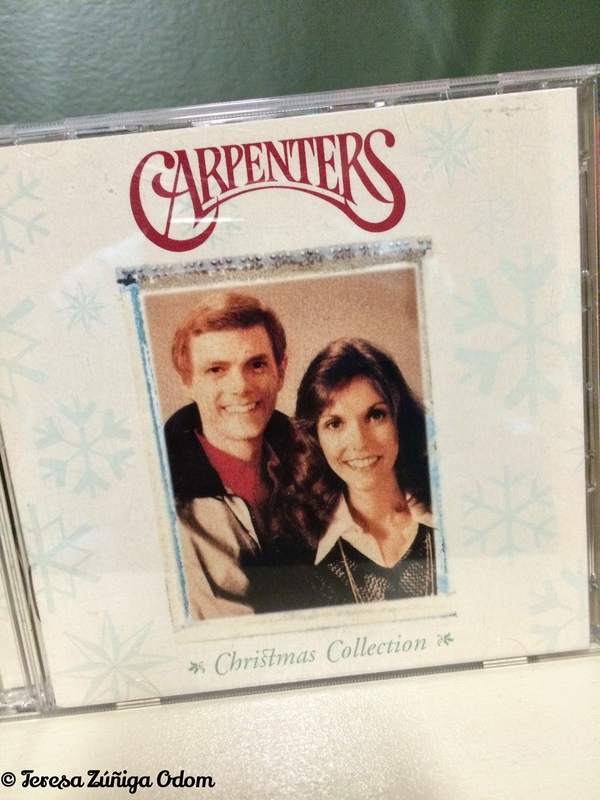 The Carpenters Christmas Collection – what more can I say. I am always blown away by Richard Carpenter’s musical arrangements. Karen Carpenter’s voice is a given – it’s timeless to me. I mean, didn’t we ALL want to BE Karen Carpenter when we were growing up? That voice! Merry Christmas Darling” always gives me goosebumps. Incredible to think that the lyrics to this song were written in 1946 by Richard and Karen’s choir director and twenty years later – when Richard was his student – the director gave the lyrics to Richard and he composed the melody! There is one other song on this two cd set that isn’t well-known – Little Altar Boy – that is simply gorgeous. If you haven’t heard it I strongly encourage you to give it a listen. 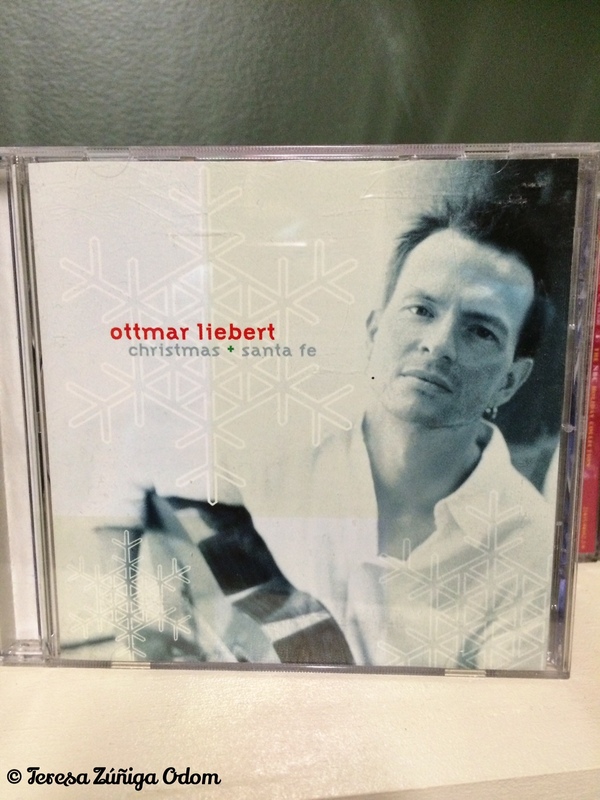 Ottmar Liebert is a German guitarist, songwriter and producer and is best known for his Spanish influenced music. You would find him in the new age/jazz section if you were looking for a cd. I was first introduced to him in 2001 by my cousin Nelinda when my sister and I were visiting her in New Mexico. She had one of his cds playing in the background as we enjoyed a meal and chatted. Perfect “set the scene” type music and Ottmar quickly became a favorite of mine. His cd called “Christmas Santa Fe” is one that I used to always play on Christmas Eve when my family was larger and we would gather at my house to enjoy my mother’s enchiladas, rice and beans, salsa and margaritas! Meanwhile…I’m getting these cds ready to load in my car so I can enjoy the sounds of the holidays, my way… What Christmas music makes your holiday special? Let me know! This entry was posted in Christmas, Christmas Music, Holidays, Uncategorized and tagged Andy Williams, Dean Martin, December, Fania Records, Guiros, Hector Levoe, Las Parrandas, Ottmar Leibert, Pentatonix, Puerto Rico, Straight No Chaser, The Carpenters, Willie Colon on November 10, 2015 by Southern Señora.